Spray a bread pan with baking spray. In the bowl of a standing mixer or with a hand held mixer, cream butter until smooth, about two minutes. Add bananas and sugars a beat another minute. Add milk and rum, combine to mix. Add dry ingredient and mix just until blended. Mix about one third of the banana batter into the melted chocolate. 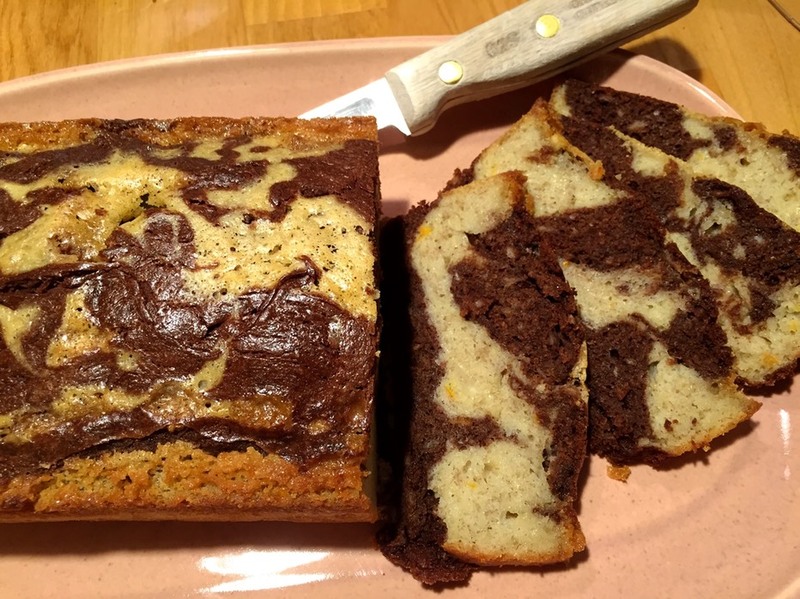 Fill bread pan with batter, alternating sides with chocolate batter and banana batter. It will run together a bit making great patterns (The Rorschach test of breads!). Bake for about an hour and ten minutes until lightly browned. Cool completely before cutting. Delicious!